So this won’t be a “talky” kind of post, but rather a “picturey” kind of post. 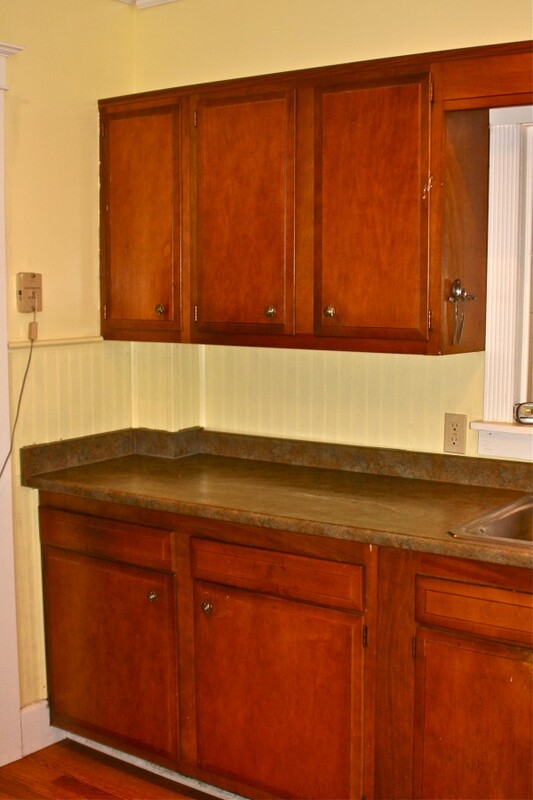 Pictures of cabinets. oooohhhh ahhhhh thrilling! It was my first do-it-yourselfy thing and it turned out all right. Nothing went wrong. Everyone involved is still on friendly terms. There were no trips to the ER–which is my definition of a successful home improvement project. 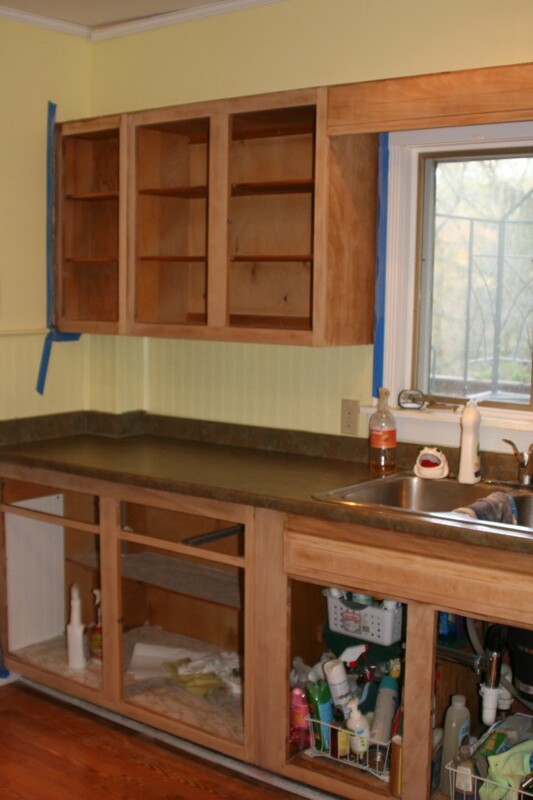 This is the “before” cabinets. Notice all the crud around the door pulls. 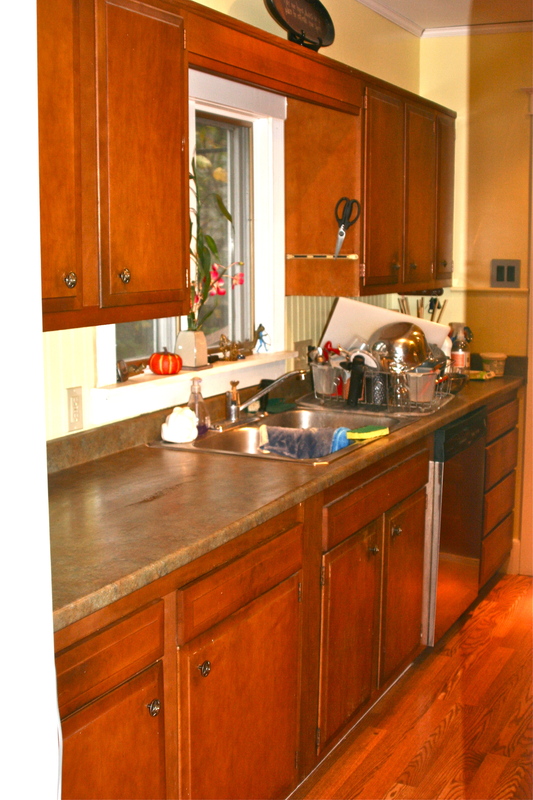 This is just the “before” cabinets in a longer view as we were getting ready to begin. We took all the doors off, repainted the hinges, and used the most “earth friendly” stripper we could find called “Citra-Solve” to take the gunk off. Then they had to be sanded. This is me with the mouse sander finishing up the detail work. 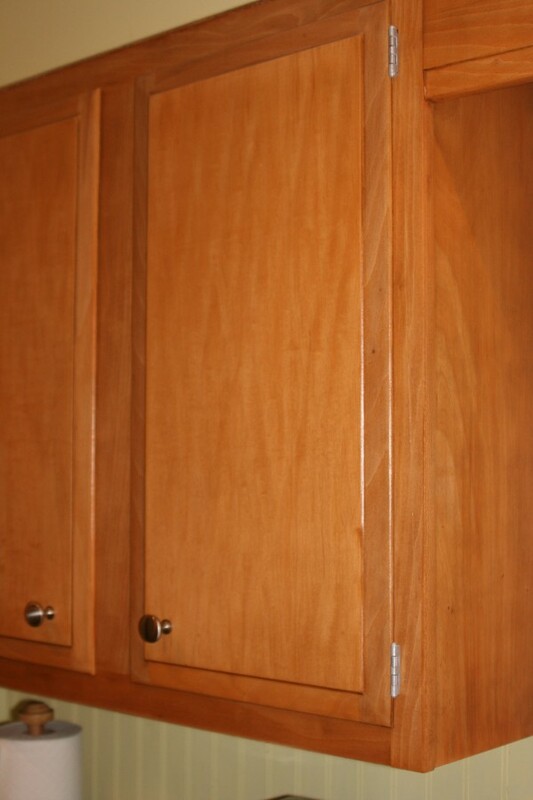 Here’s a freshly stained and polyurethaned cabinet up close. Big difference (especially in person). 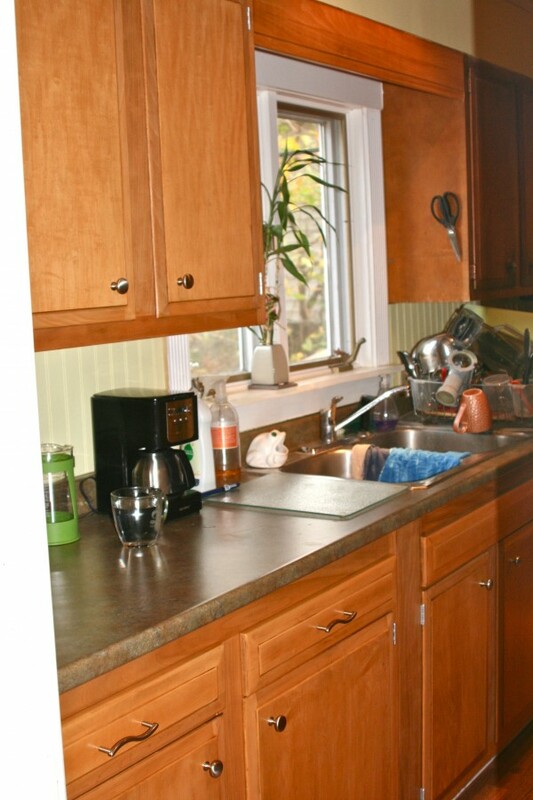 Here’s a long shot of the kitchen “after.” Tah dah! So beautiful! Great job! You’ve really inspired me! yes! it does feel good! Kath, they’re beautiful! Great job. Wow! Your talents are many — here is something I never knew about you: you are a do-it-yourselfer extraordinaire. Bravo!